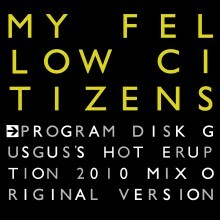 My Fellow Citizens entered German Club Charts at # 27! My Fellow Citizens still in the german DCC: "Program Disk" at # 27. Thank's for supporting!